-If you slept in, you missed the best Premier League game of the weekend. Arsenal and Manchester City played to a 2-2 draw at the Emirates. Arsenal’s early control of the game wasn’t rewarded, and they went into halftime trailing 1-0. But the Gunners came back strong in the second half, taking the lead with goals from Jack Wilshire and Alexis Sanchez. City equalized on a Martin Demichelis header, and had multiple chances to take the three points late. -Liverpool stumbled against Aston Villa, who surprisingly find themselves in second after four weeks. Gabby Agbonlahor scored in the 9th minute, and that proved to be enough. Liverpool found it difficult to break down a staunch Villa defense, and rarely challenged American keeper Brad Guzan. Daniel Sturridge did not play, resting in advance of Liverpool’s Tuesday return to Champions League action. Perhaps his absence was telling. 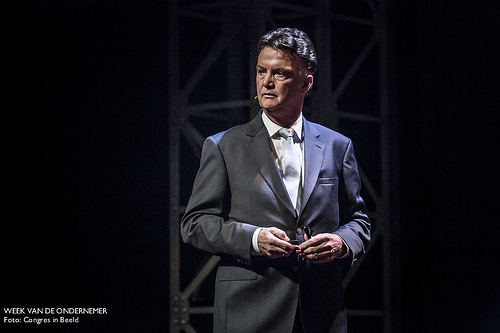 -The Louis van Gaal era at Old Trafford began with a thud. Manchester United came out flat against Swansea City, and despite a second half surge, the Swans left with a 2-1 win. For United, the loss continues a trend of home defeats begun under David Moyes, and it will temper expectations that may have been raised after a steamrolling preseason. I still expect United to have a good season under van Gaal, but he himself admits that it usually takes him a couple months to settle at a club. -At St. James’ Park, the champions survived a tough test from Newcastle and came away with a 2-0 victory. David Silva opened the scoring thanks to a backheel assist from Edin Dzeko. Newcastle produced several chances in the second half, but finishing eluded them. Sergio Aguero came on as a substitute, and scored in stoppage time to seal the three points for Manchester City. After a weekend of close games, the two-goal margin has City right where they ended last season: atop the table. -James Rodriguez appears to be on his way to Real Madrid for a silly amount of money. The 23-year old Colombian was the breakout star of the World Cup, claiming the golden boot, and now is on the verge of joining the European champions for a transfer fee of $120 million. That’s a lot of money to spend for a player who scored just nine goals in Ligue 1 last season, but that is also the Real Madrid way. Rodriguez isn’t needed; Real already has incredible amounts of attacking talent. But Madrid loves star power, and no one’s star is brighter right now than James Rodriguez. -The USMNT continued its build-up to the World Cup with a 2-1 victory over Turkey in front of a sold-out crowd at Red Bull Arena. Fabian Johnson made a stellar run up from right back to score the first goal, and Clint Dempsey capitalized on defending mistakes to add the second. Jozy Altidore, though he still hasn’t scored since December, had a solid game up top and the team’s attacking prowess as a whole was more convincing than against Azerbaijan. At the other end of the pitch, Turkey got a number of good chances, and the U.S. is perhaps lucky that they only scored once. -Atletico Madrid did it. They needed a draw at Camp Nou in the final match of the season to clinch the Spanish title, and against all odds, they got one. Los Rojiblancos had to sub off Diego Costa and Arda Turan early in the first half due to injury, and their hopes looked bleak after Alexi Sanchez scored from a seemingly impossible angle in the 33rd minute. But Diego Godín’s header early in the second half equalized the match, and Atletico clung to the draw and the title for 40 minutes. 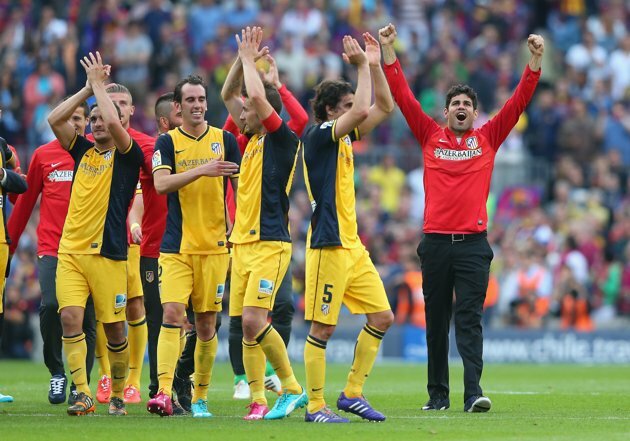 After the final whistle, the Champions were applauded by Barcelona supporters at Camp Nou. 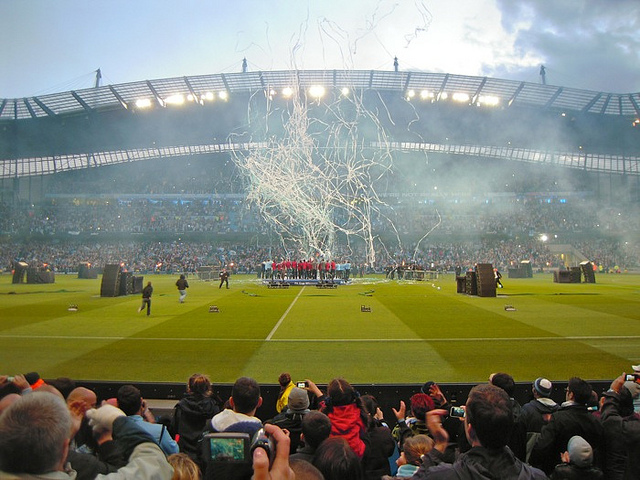 -Manchester City won the English title that no one else deserved. Where everyone else seemed to slip up down the stretch, the Citizens mostly stayed the course. That isn’t to knock City, though. From top to bottom, they were the best team in the league, and not as prone to upset as the other title contenders. Yaya Toure is among the City players who have two titles in three seasons, and he proved himself over the course of the season to be the best midfielder in the Premier League. City couldn’t replicate their success after 2011-12; will things be different under Manuel Pellegrini? The most expensive club in the world can’t be content here, surely Sheikh Mansour expects this to be a sign of things to come.